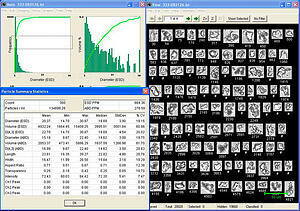 Study phytoplankton and zooplankton with ease. 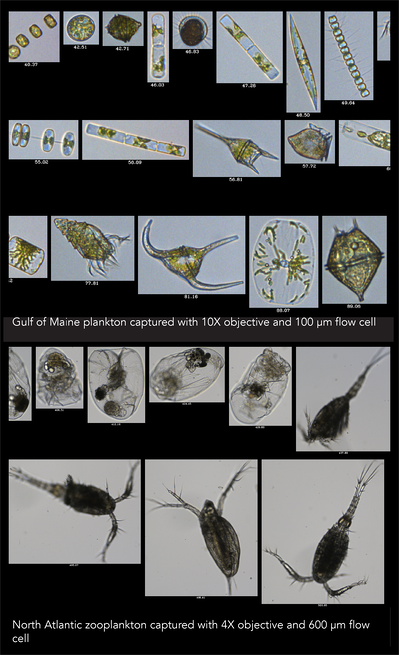 The FlowCam provides a fast, accurate, and easy-to-use alternative to manual microscopy for monitoring phytoplankton community composition. 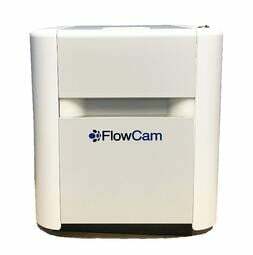 The FlowCam combines the functionality of an imaging flow cytometer and a microscope in a single, powerful research tool: fluorescence analysis, digital images, physical measurements, biovolume calculations, robust statistical analysis, and semi-automated classification of organisms. 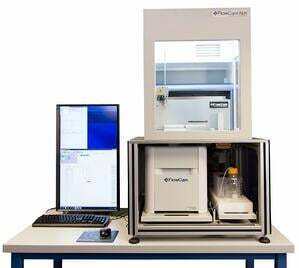 Since its inception in 1997 at Bigelow Laboratory for Ocean Sciences, the FlowCam continues to advance imaging flow cytometry with improved optics, more robust analytical software, and faster throughput for rapid, more reliable, more accurate phytoplankton & zooplankton analysis. 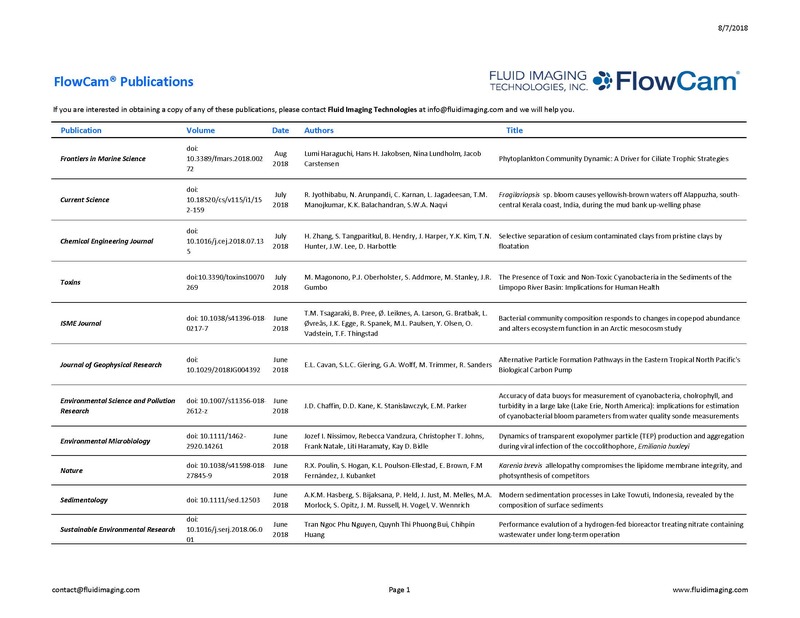 Visit FlowCam Phytoplankton & Zooplankton Resources Page for customer profiles, case studies, published papers and more. “For the first time, we were able to see how the kind of phytoplankton influenced the optical properties of the seawater and could immediately examine whether an unusual community was related to the seawater or to the satellite images, thanks to the FlowCam. The FlowCam technology allows us to achieve high-resolution maps of phytoplankton that can be related to satellite data in more meaningful ways than possible before. I think the role of the FlowCam will expand significantly." For particles 2 µm to 1 mm. Compatible with Automated Liquid Handler. 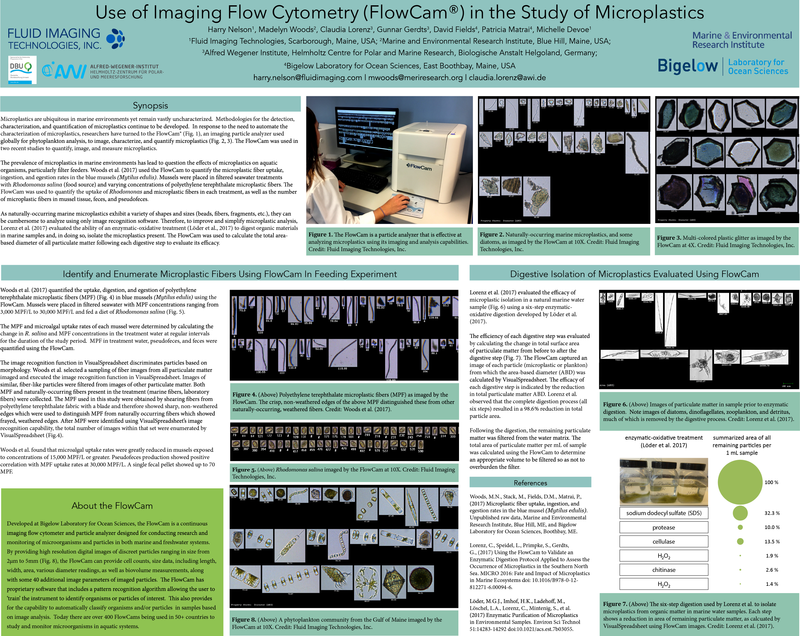 Equipped with a 633 nm laser, the FlowCam Cyano captures images of organisms containing phycocyanin and chlorophyll for analysis of cyanobacteria and other algae, including diatoms, green algae, golden algae, dinoflagellates, and more. The FlowCam Cyano can also be used for other freshwater research, including phyto- and zooplankton community analysis and monitoring. Compatible with the FlowCam Automated Liquid Handler. For microorganisms sized 300 µm to 5 mm. Will the FlowCam Macro work for you? Will the FlowCam ALH work for you? Schedule a demonstration. Our proprietary software VisualSpreadsheet performs image recognition, particle measurements, statistical analyses, data collection, and enables data manipulation. With VisualSpreadsheet (ViSP), which is included with every FlowCam, you can create image libraries, digital filters, and use machine learning for semi-automated classification. View data in ViSP or export to Excel in CSV format. Visit the ViSP page for more information.